Remember this game? My boys had it when they were small and now we have it again for the grandkids. The boys and I play it quite often and always end up laughing and having a good time. This pattern has been lurking around for awhile. Truthfully, I had kind of forgot that I did it, but after one of our "game sessions", I thought I should post it. I decided that purple would be a good color choice as it works for either boys or girls. The cloth is done in Peaches & Creme Grape and bib is Dark Grape. Another wild animal to add to my menagerie. Soon there will be enough of my designs to do a blanket with just wild animals! The pdf files are available in the sidebar or by clicking here for the cloth and here for the bib. Speaking of blankets, I decided to re-knit mine. This time I hesitate to say that it's going really well especially after I thought that the first time. However, I'm loving this new yarn and the color. It's taking me a lot longer to knit it, since I added more squares and since I'm using smaller needles. I've learned my lesson though, and this time around I'm not going to show any in progress pictures. Just in case, well, you know. . . 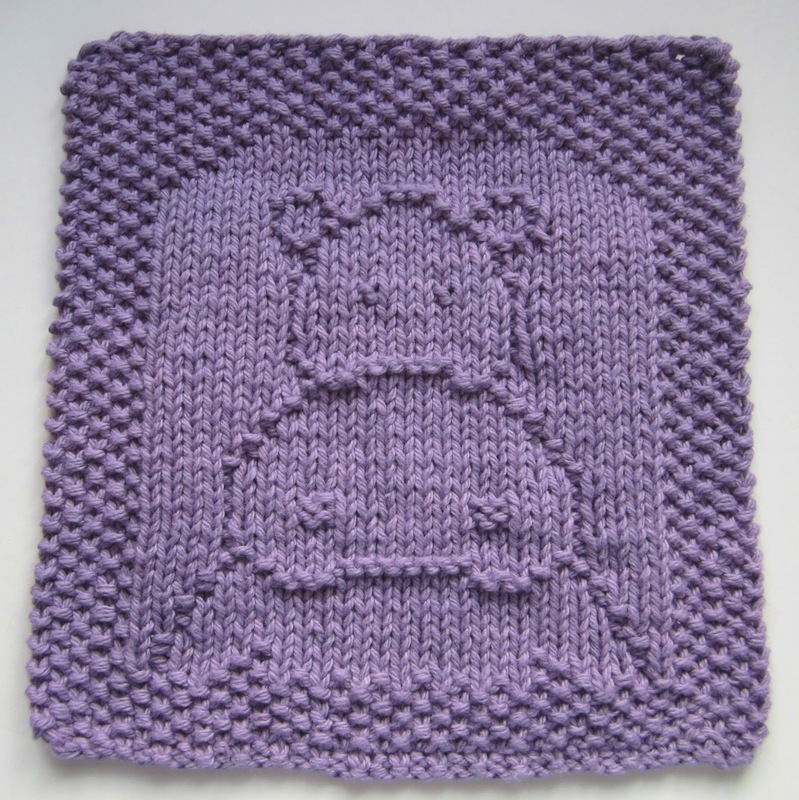 I love all of your bib and cloth patterns and this hippo is so cute. The purple is perfect. Thank you for sharing your talent with all of us. pretty nice baby bibs,looking very cute,in my opinion baby bibs are very essential because little ones are very messy and they require much attention at the time of feeding so bibs plays an important role in keeping them clean. 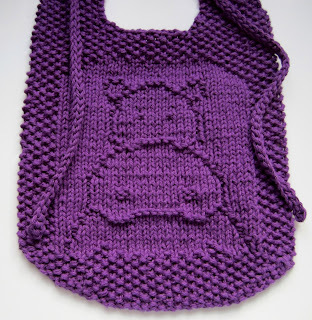 I'm working on the Hippo Bib right now in a blue color. I will post a picture when it is finished. Then I'm also planning to do it in a pink color. Does anyone know if the boarder is a seed stitch or garter stitch?